8½ x 4¾ x 4"
20 x 13½ x 19½"
10 cpm 15'10¼" x 7'4" x 5’4¹⁄³"
13 x 7¾ x 6"
24 x 16 x 16"
The innovative Combi Ergopack® has raised the standard for handpacking productivity. 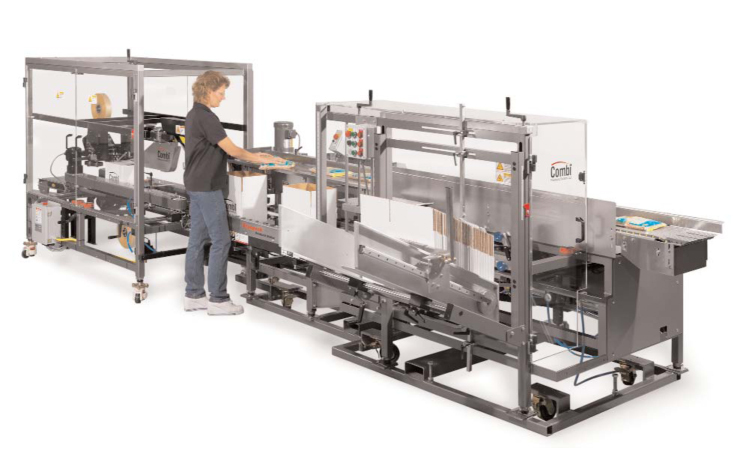 Efficient and durable, the packing station Ergopack® combines a case erector, a hand pack station, and a sealer into a compact and cost-effective workcell. This ergonomically designed pick and pack system features a hands-free indexing system that positions cases and product for optimal operator comfort, minimizing repetitive wrist and arm motions. Variable speed product infeed and on-demand case presentation combined with available 1-, 2- or 3-operator stations provide ultimate flexibility. 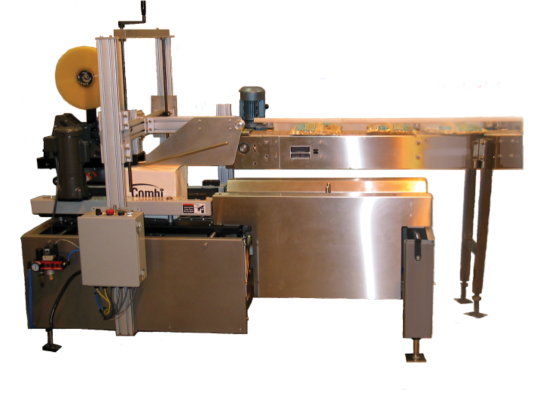 This pick and pack system, unique to the industry, features the built-in strength, ease of maintenance and customer support you can expect from all Combi packaging equipment. (508x343x495mm) Up to 12 7'x14'8"
(610x406x610mm) Up to 10 7'9"x15'9"
EZ-Pack 9 x 8½ x 4½"
25 x 20½ x 18"
Combi Packaging systems design and manufacture case erectors, tray erectors, case sealers, case packers and ergonomic hand packing stations, specifically for your packaging system application.